This Quantified Community is the essence of CUSP – harnessing big data to grasp how cities work and how to make them more efficient, sustainable, and resilient, their residents healthier and more prosperous. 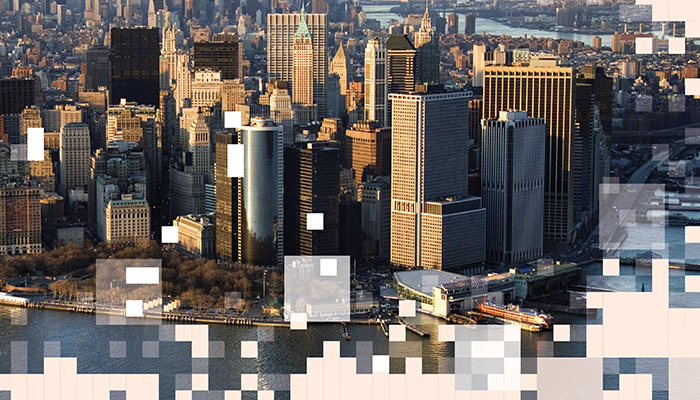 An interdisciplinary urban lab and master’s-level graduate program at New York University, CUSP has leaped to prominence in an emerging field that applies advances in informatics to vast amounts of data culled from an array of sources, grounding city policies on facts. CUSP grew out of a competition launched by former New York Mayor Michael Bloomberg with the aim of making the city a technology center on a par with Silicon Valley. NYU’s proposal for an urban science center in downtown Brooklyn initially lost out to a partnership between Cornell and the Technion, which is building a $2 billion campus on Roosevelt Island in the East River. But four months later, the city announced a second group of winners, including a CUSP consortium that joins NYU with Carnegie Mellon University, the City University of New York, the University of Toronto, the University of Warwick, and the Indian Institute of Technology-Bombay, along with eight companies, led by IBM, Xerox, and Cisco. Founding director Steven Koonin, a native New Yorker, added four national labs, with their awesome computing power, to the consortium. A computational physicist and former provost at Caltech, chief scientist at BP, and undersecretary for science at the U.S. Department of Energy, Koonin found a passion for using data to understand and try to solve society’s problems after spending years working to change America’s energy system through technology. He concluded there was more to it, including regulation, economics, perceptions, and behavior. “I realized we were talking about social science data,” Koonin says. Big data and informatics – storage, transmission, and analysis – have the power to transform social science, he argues, by deriving results not from 1,000-person surveys but from huge data sets encompassing large populations. CUSP puts Koonin’s theory to the test, along with his belief that if academe is going to help solve the nation’s and world’s urgent problems, it needs “a more structured research effort” and closer collaboration with business. “Do you want to solve the problem, or do you want to just mess around?” he asked a Caltech audience last year, sounding less like a theoretical physicist and more like an engineer. (One of his NYU titles is professor of civil and urban engineering.) Cities provide the ideal lab, he contends, since they will house 80 percent of the world’s rapidly growing population by mid-century. New York, a teeming melting pot of ethnicities and national origins, where neighborhoods – and fortunes – rise, decline, and rebound, offers no end of research topics. But CUSP has started with such obvious ones as traffic, noise, and energy use. What impact will construction have on traffic patterns? Can a data-visualization tool show where more taxi stands are needed? Can bus-driver rotations be more efficient? Past environmental impact statements – did they get it right? How many people go to city parks, and what happens there? “Agencies are turning to us for help. We have more tasks on our plate than we have capacity,” says Koonin. The Internet of Things brings a host of tools to, in his words, “instrument the city.” One example: Over the past year, an eight-megapixel visible wavelength camera on a Brooklyn rooftop takes a photo of Manhattan’s Lower East Side and Midtown every ten seconds, recording emission plumes from buildings and varying uses of lighting at night. More recently, it has been supplemented by an infrared camera, able to detect building heat. Hyperspectral imaging is being tested. “It looks at the city and breaks light into 800 colors,” says Greg Dobler, chief scientist of the CUSP Urban Observatory. “Then you can ask questions: How are light technologies changing? Are they energy efficient?” Further enhancements are coming, such as light detection and ranging (LIDAR), and more cameras will be installed on tall buildings around the city. Researchers will study images to differentiate among gases emitted and track wind-borne pollutants across the city. While watching from above, CUSP has an ear to the ground. Noise is not just a nuisance; it also disrupts sleep, learning, and even health. Researchers Charlie Mydlarz, an audio technologist, and Justin Salamon, a computer scientist, have teamed up to capture and analyze “urban soundscapes.” Tapping remote sensing devices and feeding these data into computers, they’re able not just to measure volume but also differentiate among sirens, car horns, street music, children playing, barking dogs, wind, and idling vehicles. They hope to correlate the information they collect with crime and real estate statistics, weather patterns, school attainment metrics, and census data, giving the term “ambience” new meaning. Joining with the Natural Resources Defense Council, CUSP is developing metrics and incentives so commercial building tenants can curb energy use and cut carbon pollution. It’s an area CUSP Deputy Director Constantine Kontokosta knows well. A professional engineer, urban planning academic, and sometime real estate developer, Kontokosta has made strides in examining large New York buildings to comprehend the interplay of energy efficiency, construction methods, and economics. A study crunching together New York’s new energy consumption database, building characteristics, and real estate sales and rental prices showed the challenge ahead in reducing the city’s carbon footprint. Think new steel-and-glass structures are more energy efficient than older masonry towers? Not so: Buildings at least 60 years old were found to be 42 percent more efficient, on average, than newly built ones. Believe buyers and tenants will pay more for energy savings? Wrong again: Not only is energy efficiency not a factor in asset pricing or rental rates, but some poorly performing buildings command premium rents. The Hudson Yards project lets Kontokosta and his team advise developers on ways to incorporate data collection at the design stage, figuring out the most advantageous sensor locations and including the measurement of energy consumption, temperature, noise, and air quality into building management systems. He hopes to “understand at a granular level how design influences activity,” guiding plans for public spaces. This is where information collected on occupants’ phones and wearable fitness monitors will prove valuable. Smartphones can give GPS coordinates, capture sound and images, and contain ambient light sensors, compasses, accelerometers, and gyroscopes (the iPhone 6 has a barometer). What’s more, they collect, process, and store the data from these sensors, including heart-rate data. Researcher Ravi Shroff is figuring out how smartphones can be used to model foot traffic in interior spaces. Ordinarily this might be done with fixed cameras or by having someone stand and watch crowd movements. Shroff uses the accelerometer and gyroscope in a Samsung Galaxy smartphone to collect data on steps and direction. He then combines the steps into a trajectory and applies an algorithm to plot the path on a map. His method worked well in the corridors of CUSP’s 19th-floor aerie overlooking MetroTech Center in Brooklyn. Applying it to large public spaces is trickier. “The algorithm is not robust enough,” he says, but when improved, it could have a number of uses. Among them: alerting authorities to an incident or unsafe obstacle in a subway station, mall, or sports arena that causes pedestrians to change direction; devising optimal fire-escape routes; and showing museum curators which exhibits are popular. Shroff, a member of CUSP’s inaugural class of 24, joined the staff after earning his master’s in applied urban science and informatics. He already had a Ph.D. in esoteric Cauchy-Riemann (or complex-real) geometry and was doing a postdoc at the Australian National University but switched careers because he “wanted to do something more applied.” Mathematicians, he says, “are not really motivated by reality.” CUSP’s interdisciplinary, team approach to research held appeal. “In math, I felt like I was in my little bubble.” His foot-traffic study began as a capstone project under the mentorship of computer scientist Manuela Veloso, who joined CUSP temporarily while on sabbatical from Carnegie Mellon. Like Shroff, master’s students – 63 have entered in CUSP’s second year – become an integral part of research teams. Their training in informatics and urban studies – plus optional city internships – will equip them to work in city agencies around the country or in companies supplying services to cities, Koonin says. He expects to develop a Ph.D. program in urban informatics within a year and eventually to create an incubator for start-ups. CUSP’s growing list of data sources includes city sewers, where researchers, working with NYU biologists, will collect microbial samples, examine their DNA, and try to map the city’s metagenome, a catalog of genes from all five boroughs. The resulting information could allow for early warning of epidemics and other bio-threats. Questions that can be explored using CUSP’s data streams are limited only by researchers’ imaginations. “How do we begin to understand social and economic disparities?” asks Kontokosta, who also hopes CUSP can help improve access to public services. While measuring everything from noise to health, Koonin and his team are at pains to reassure New Yorkers worried about loss of privacy. Their interest is in society as a whole, not individuals, they say, and CUSP studies will be scrubbed of personal identifiable information. Will Hudson Yards’ occupants yield their cellphone data? They will, if presented with the right value proposition, Kontokosta argues, just as people now sign up for push marketing and let Google Maps track their GPS coordinates. A well-run city may be value enough.